This fall, exotic botanicals in bold colors are everywhere, from weekend sneakers and work essentials to fancy frocks. They’re not your garden variety dresses and accessories. But trust us, they’ll grow on you. Grab this dress while it's still in stock. 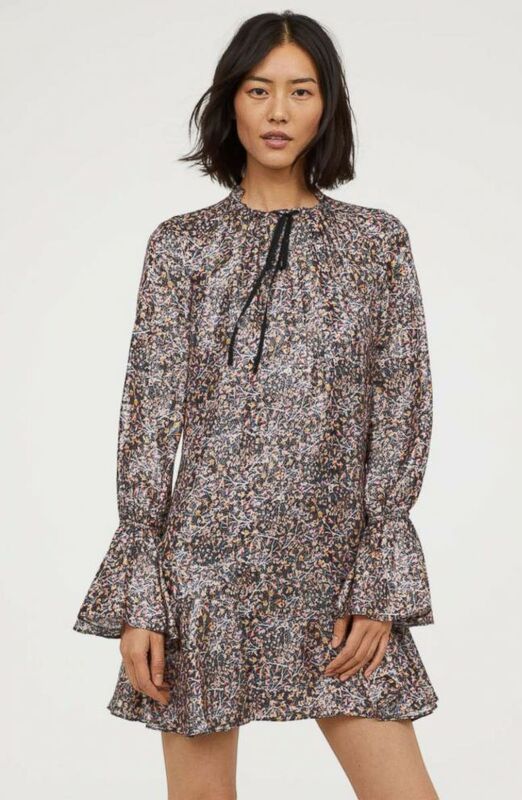 New from H&M’s Conscious collection this dress is made from sustainable fabric and printed digitally to save water that makes patterns even brighter -- and the collection is going fast. Style Hint: Now that cooler days are here there are multiple ways to wear this mini dresses: Throw it over jeans with sneakers on the weekend or pair with extra tall boots at work. Old world charm meets modern style in a dress you’ll want to wear again and again. Style Hint: There's nothing frou-frou about this embroidered A-line dress — just statement-making blooms. Pair it with casual, natural boots to add a touch of cool. 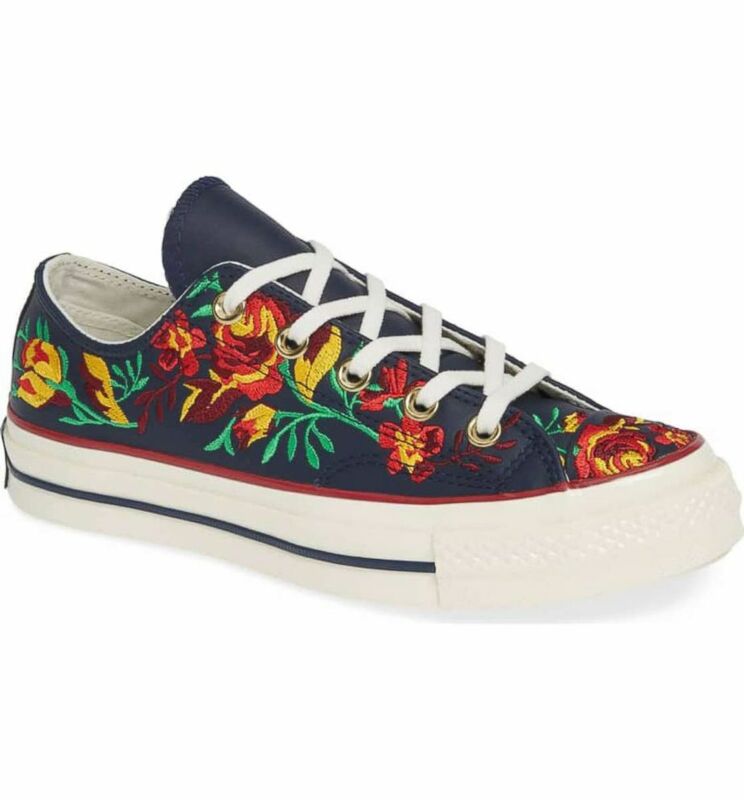 Florals for those who don’t do florals. 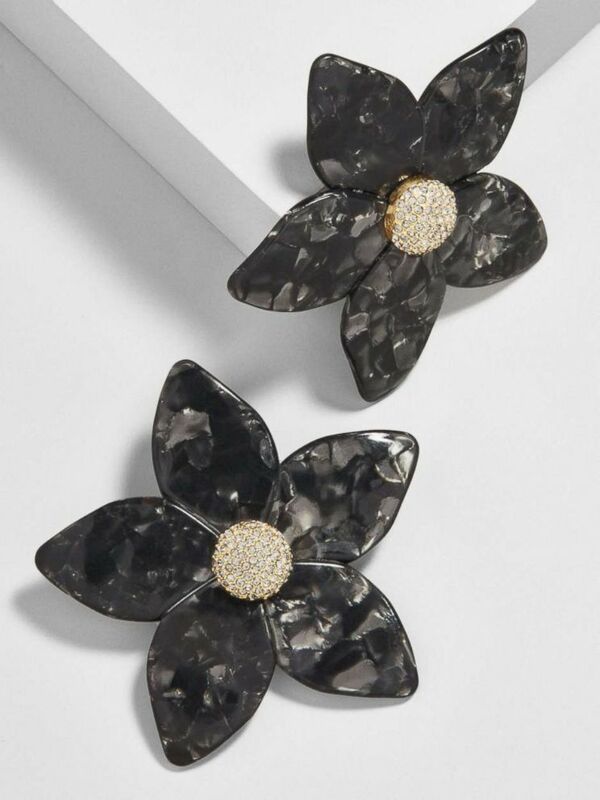 Style Hint: We know some of you may not see yourself in head-to-toe blooms — but if you are intrigued we suggest you start with these chic buds in black. Wear with a denim shirt or turtleneck for a low-key nod to the trend and watch your style bloom. 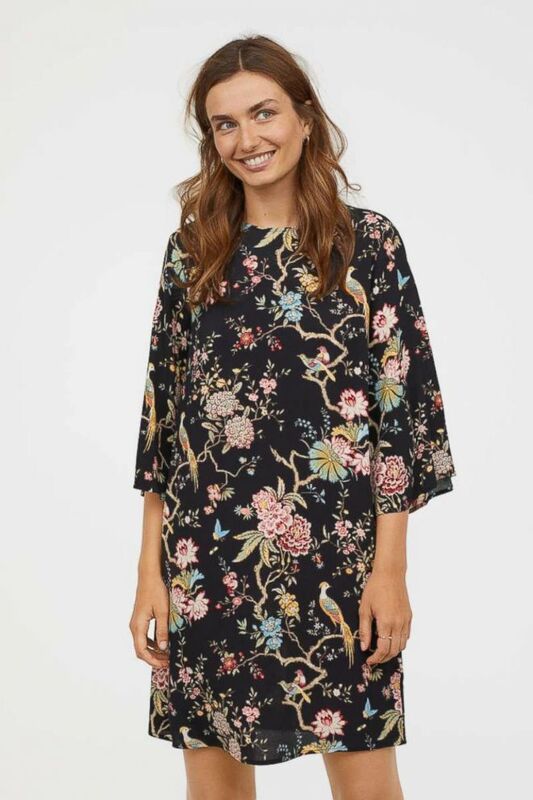 Chinoiserie pattern is both bold and beautiful in a streamlined tunic. Style Hint: The solution to fall’s crop of mini-dresses? Vibrant tights! Pair this dress is eye-catching colorful tights that suit your mood -- deep green, red, even pink -- and if that's too bold, feel free to mix with classic black. 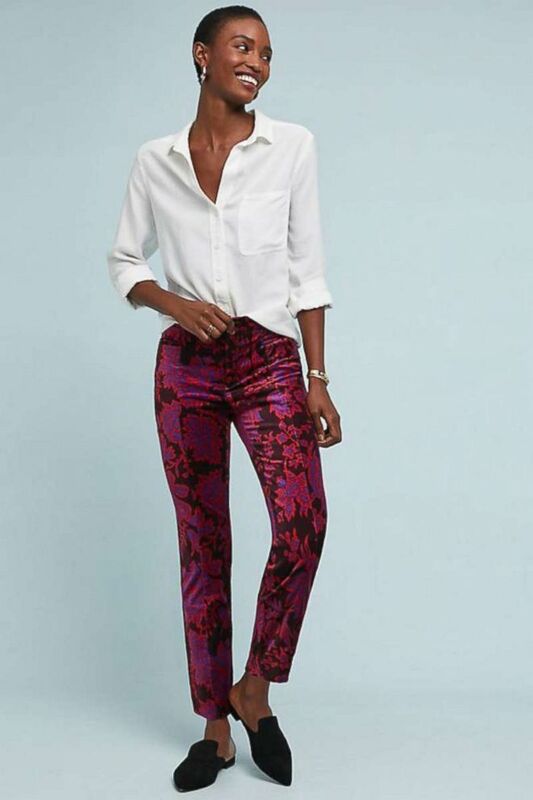 Step out in vibrant pants that do all your work for you. Style Hint: The benefit of wearing a daring print is that you can pair it with your easiest staples and still make a statement. Stand out in a sea of LBD’s at your next special occasion in this form-fitting dress in vibrant pink and green. Style Hint: When a pattern is as eye-catching as this, keep shoes simple, like classic single strap heels. Give yourself flowers every day with this comfortable and roomy backpack. 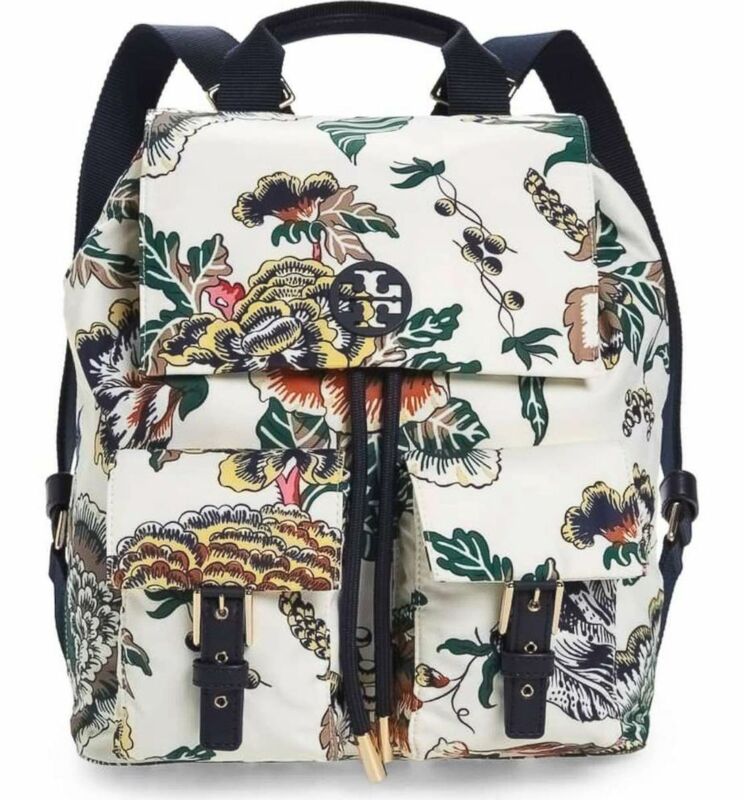 Style Hint: If you love the idea of a botanical backpack but worry it won’t go with the rest of your wardrobe, have no fear. Florals look good with any solid color and, this season is all about mixing the unexpected, so feel free to wear it with other patterns. We see this with stripes, houndstooth, even Glen Plaid. 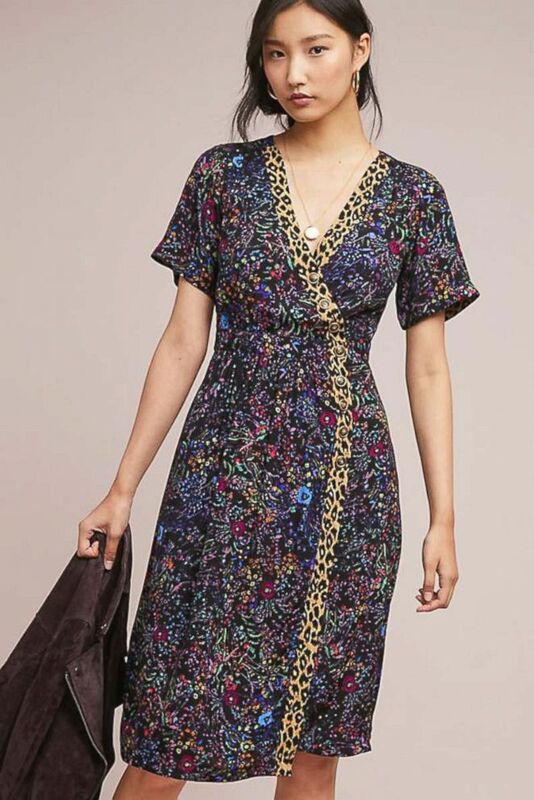 Florals can be office and after-hours friendly, especially when mixed with another trendy print -- like leopard -- making this dress the cat's meow. Style Hint: Take a cue from the leopard and up the edgy-factor by pairing this with a moto jacket and boots for workdays and date nights. Fall’s top two trends in one boot. Style Hint: Combat boots and dresses are the season’s most compelling combo. 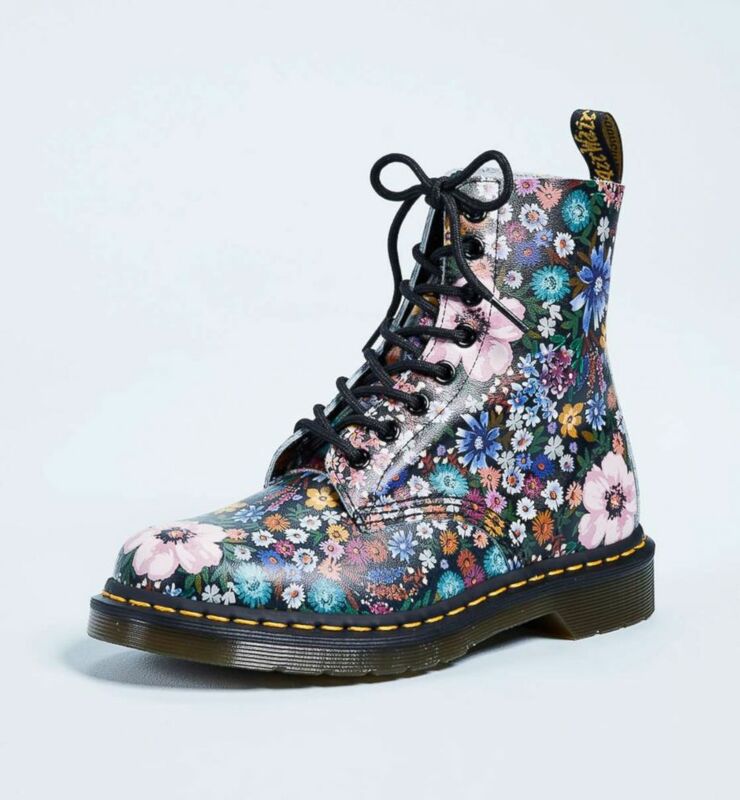 Be a maximalist by wearing these with another floral print, or let them stand on their own with a flowing solid dress. Yes you can wear a long dress to work. We love this one because it’s clever sheer overlay adds length while revealing it’s office appropriate hem underneath. 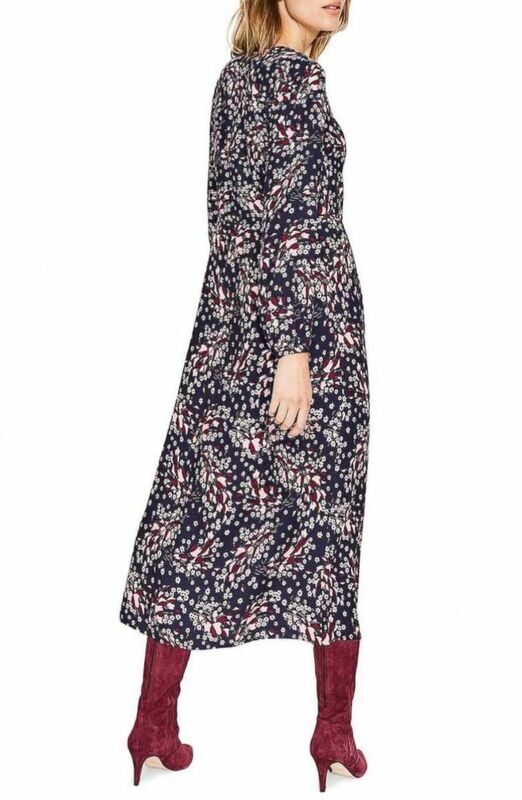 Style Hint: Play up the delicate sophistication of this dress by pairing with textured accessories, like a supple leather belt and suede boots. Throw flowers at your feet. Style Hint: You may think you need to save these for the weekend, but why not pair them with sleek trousers or even a menswear-inspired suit and make an ordinary workday have a carefree Saturday feel? 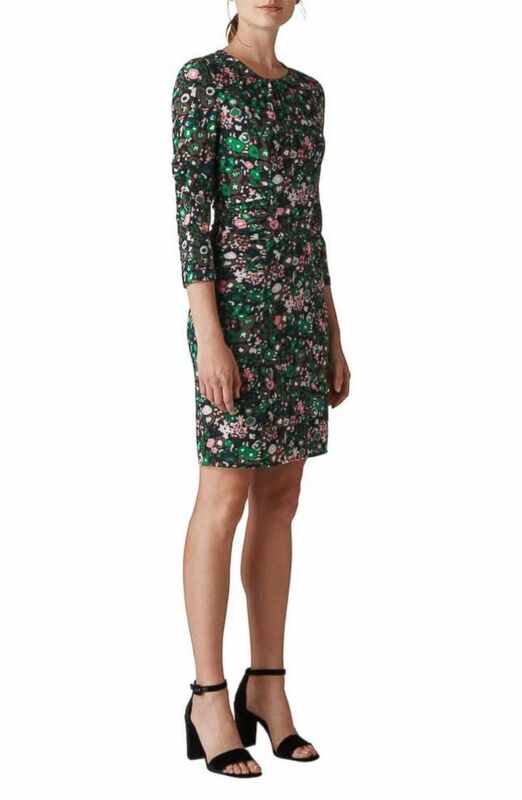 Consider this floral dress your one-and-done dress. Style Hint: We love this it for its throw-it-on effortless style. All you have to do is pair it with a colored boot and you’re out the door. 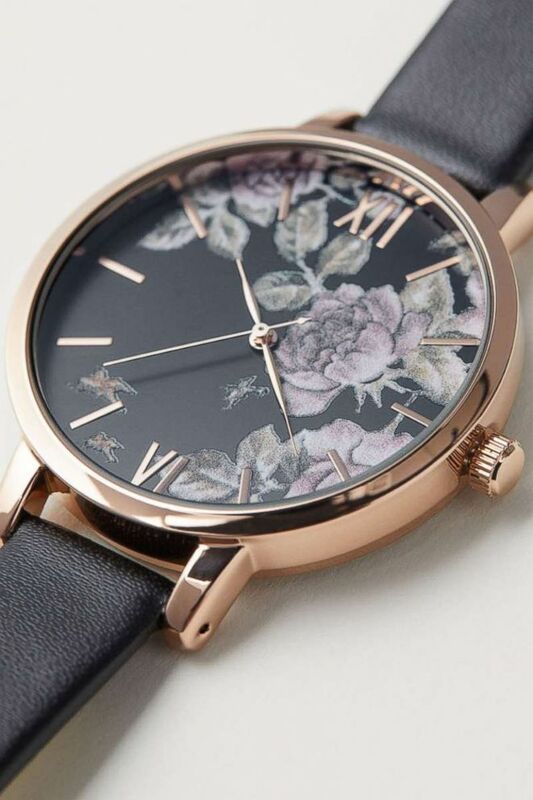 Time to give your watch a trendy upgrade. Style Hint: Have fun mixing this watch with other bracelets. We love seeing it stacked with rose-gold bangles, even charm bracelets.